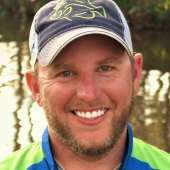 Josh Gowan is a professional crappie fisherman, syndicated outdoor columnist, and host of the upcoming show Destination Crappie. He has pursued crappie from Wisconsin to Florida, and everywhere in between, and has appeared on multiple radio and television shows, as well as being featured on websites and in magazines both as a traveling pro and a writer. You can follow Gowan's adventures on his popular Youtube channel www.youtube.com/joshgowan, and on Facebook, Instagram, Twitter, and his new project, www.destinationcrappie.com.